There’s no denying the positive buzz surrounding Texas right now. The state is experiencing substantial growth, and major cities like Austin, San Antonio, and Houston consistently rank highly on many lists for job creation, quality of life, business friendliness, and many other positive indicators. This attractive environment helped Texas weather the recent economic downturn much better than other areas of the country, and has launched a new wave of economic activity as conditions have begun to improve nationwide. As many developers and consultants look to capitalize on this bright spot, it is important to consider strategies for cultivating success over the long term. Few factors have the ability to affect overall success of a new home community more than location. According to an October 2012 publication by the Urban Land Institute, “buyers want safety, good schools, and proximity to employment, which usually entails less than a 30-minute commute”. Locating a community where there is already demand for homes is certainly a step in the right direction. However, it is possible for this process to work in reverse order – with a planned community having the ability to attract large employers itself. With the emergence of the mixed-use concept where residents can live, work, and play all within a walkable environment, many developers see value in integrating employment centers as part of the early concept for the community. “Employers will choose to locate and expand where they will have long-term prosperity. Communities that are committed to providing a great quality of life while keeping costs for businesses low will be the most attractive in this competitive economic climate,” says Austin Chamber of Commerce Senior Vice President Jeremy Martin. 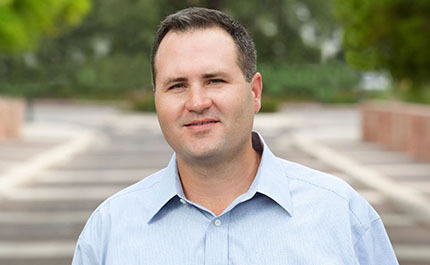 One example is Mueller Austin (pictured above), where RVi has been working as part of the Catellus/McCann Adams team for the past decade. 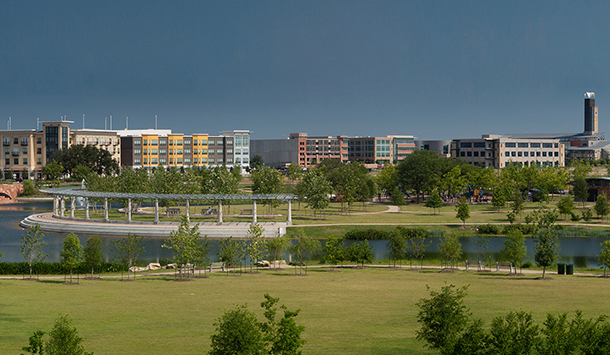 Catellus, the master developer, worked to capitalize on Mueller’s prime location and secured large employment centers such as Dell Children’s Medical Center and The University of Texas at Austin’s Dell Pediatric Research Institute, as well as many smaller commercial and retail tenants. A decade later, Mueller is well on the way to its goal of being home to 13,000 jobs. Another community that is pursuing the mixed-use employment center model is Veramendi in New Braunfels, which is slated to break ground this year. 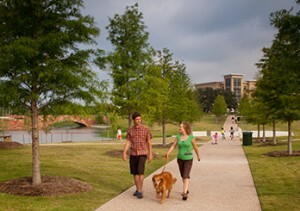 Strategically located along the Central Texas growth corridor, developer ASA properties envisions a vibrant and dynamic community Howard Payne University Site Plan by RVi, located adjacent to Veramendi’s planned Town Centre surrounded by ample greenbelt and riverfront open space. Major employer Christus Santa Rosa Hospital has already signed on to develop a new 50-acre medical campus within the community, and Veramendi will also be home to Howard Payne University’s new extension campus. 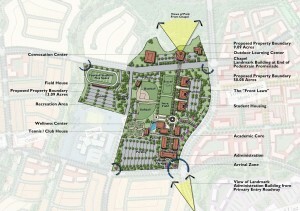 Other planned uses include a town center, retail, corporate campuses, a hotel, and two elementary schools. Planning the correct mix of uses to meet anticipated demand doesn’t come without a bit of hard work. It is important to be in-tune with the surrounding community at large and understand the demographic, economic, and political drivers. Community leaders are great allies in this process. They can help articulate larger goals and needs that, when properly addressed, can position a planned community for long-term success. Community leaders can also become outspoken advocates for a development, finding leads on potential real estate deals and providing insight on available funding opportunities as the local, State, and Federal levels. The recent emphasis on live/work/play environments has highlighted the opportunity for developers to incorporate large employers into the mix of uses for planned communities, and in turn, create their own demand for home sales. As some developers have recently experienced, creating an employment center can also provide for sustainable growth during economic downturns. 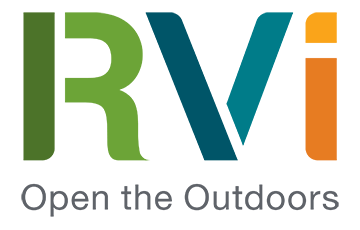 But creating community is about more than just filling space with tenants and houses – RVi thrives on this opportunity to help our clients find ways to communicate what it means to call that place home. When carefully planned from the beginning, the thoughtful integration of mixed uses can be a very powerful driver of long-term success for the community.